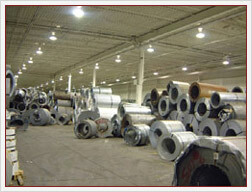 Since its establishment in 1990, Royal Canadian Steel has become one of the leading steel service and steel export centers in Canada and United States. Our products include Secondary and Excess Prime Steel: Stainless Steel, Cold Rolled Steel, Galvanized Steel and other types of steel products. 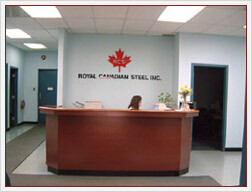 Our facilities include a steel processing plant in Brampton, Canada and offices in China, Pakistan and India. Our company’s mission is to provide top quality steel products at competitive prices and exceptional customer service to our clients from many different industries. We are committed to quality and absolute best performance of our products. Every product that has been manufactured by Royal Canadian Steel has been carefully examined and evaluated to ensure highest quality. In order to excel and stay ahead of the competition, we are using only modern and top-notch equipment and constantly learning new and efficient technologies. Our knowledge and expertise in the steel industry has led us to expand our exports to countries in Asia and Europe and become a worldwide producer and exporter of steel products.